A County Down farmer was today sentenced at Newry Magistrates’ Court to four months in prison. Mr Christopher David Potts, (23) of High Street, Gilford, pleaded guilty and was convicted of one charge of failing to notify the Department of the movement of six cattle onto his holding, two charges of failing to notify the Department of the movement of 19 cattle off his holding and two charges of failing to dispose of animal carcasses. A County Down farmer has been sentenced to four months in prison over issues with cattle. Mr Potts was sentenced to two months imprisonment in respect of the cattle movement offences and two months imprisonment in respect of the animal by-products charges, to run concurrently. He was also fined £1,000 plus a £15 offenders’ levy. Mr Potts was convicted of one charge, of being the keeper of bovine animals, in contravention of Article 7.1 of the Councils Regulations (EC) No 1760/2000 and Article 6.3 of Commission Regulation (EC) No 2629/97, failed to notify the Department of Agriculture, Environment and Rural Affairs of the movement of 6 animals onto his holding in accordance with the provisions of Regulation 7 of the Cattle Identification (Notification of Births, Deaths and Movements) Regulations (Northern Ireland) 1999, contrary to Regulation 5(1) of the Cattle Identification (Notification of Births, Deaths and Movements) Regulations (Northern Ireland) 1999. He was convicted of two charges, of being the keeper of bovine animals, in contravention of Article 7.1 of the Councils Regulations (EC) No 1760/2000 and Article 6.3 of Commission Regulation (EC) No 2629/97, failed to notify the Department of Agriculture, Environment and Rural Affairs of the movement of 19 animals off his holding in accordance with the provisions of Regulation 7 of the Cattle Identification (Notification of Births, Deaths and Movements) Regulations (Northern Ireland) 1999, contrary to Regulation 5(1) of the Cattle Identification (Notification of Births, Deaths and Movements Regulations (Northern Ireland) 1999. Further, Mr Potts was convicted of two charges, of being a person to whom an animal by-product requirement applied, in contravention of Regulation 6 of the Animal By-Products (Enforcement) Regulations (Northern Ireland) 2015, failed to hold a carcase or part of a carcase of any farmed animal that had not been slaughtered for human consumption, pending consignment or disposal, in accordance with the EU Control Regulations as read with the EU Implementation Regulations, in such a manner as to ensure that any animal or bird would not have access to it, contrary to Regulation 19 of the Animal By Products (Enforcement) Regulations (Northern Ireland 2015. Breaches of the Cattle Identification Regulations weaken and undermine the cattle traceability system in Northern Ireland, including the integrity of the Department’s Animal and Public Health Information System (APHIS). The current interest in food safety by both Government and consumer groups means it is essential that the Department is clearly seen to be implementing all legislation pertaining to the traceability of livestock. Cattle movements, notified to the Department, are recorded on to the APHIS database. 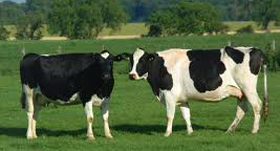 The provision, within statutory limits or upon request, of complete and timely information concerning cattle in the herd, to the Department is fundamental to the credibility and integrity of the Department’s Animal and Public Health Information System (APHIS). It would be good practice (as well as being a legal requirement), to remove without delay an animal carcase from a farm to prevent spread of disease and protect public health and avoid detrimental effects on the environment.